There is something about Black Friday that brings out the crazy in people. Trampled store employees and fistfights over the latest Elmo doll in the toy aisle have become an unfortunate yearly tradition only hours after observing Thanksgiving. It’s ironic to say the least. But perhaps equally as ironic is the idea of a station wagon hitting 60 mph in under four seconds while hauling a trunk-full of Christmas presents for the whole family. We’re not afraid to explore the ironic here at TopSpeed, so we compiled a list of vehicles we would use to snag all those infamous Black Friday deals. These Black Friday cargo haulers had to be fast enough to outrun other shoppers, have enough cargo room to haul a flat-screen TV with other boxes stacked around, and flashy enough to let others know you mean business. Scroll on down for TopSpeed’s top-10 list of Black Friday deal-getters and why we chose them. Leave a comment on which one you would be driving. 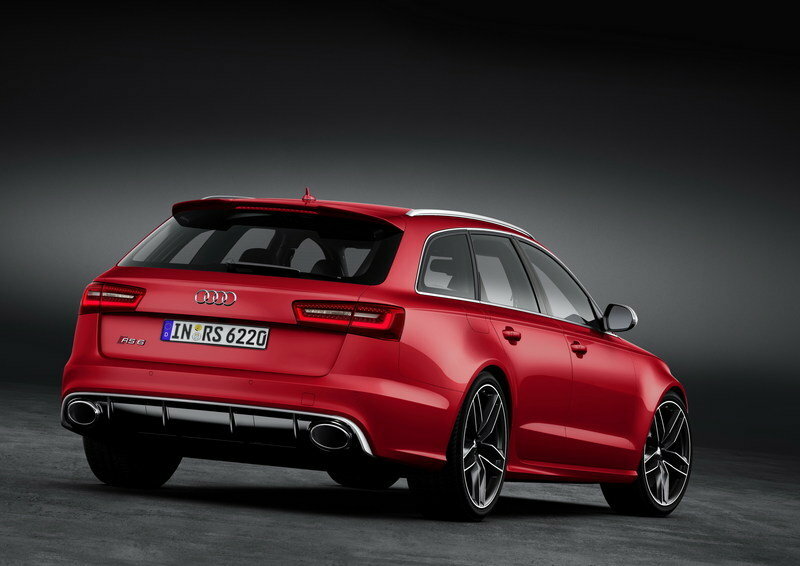 The Audi RS6 Avant is an über wagon through and through. It’s powered by a monstrous 4.0-liter V-8 fed by twin turbos that kick out 560 horsepower and 516 pound-feet of torque. And eight-speed tiptronic transmission routes power to all four tires via Audi’s famous quattro AWD system. Naught to 62 mph happens in a scant 3.9 seconds on its way to a 155 mph limited top speed. Buy the Dynamic Plus package, however, and that top speed jumps to 189 mph. Pricing starts at roughly £77,000 — about $126,000 at the current exchange rates. The only bad news is the RS6 Avant is available for Black Friday shopping sprees everywhere but in the U.S. That’s too bad, as we were hoping to terrorize the mall parking lot like in this video. The Ferrari FF might not be the most practical vehicle here for snagging 60-inch flat screens, but hey, we’d be willing to try if it meant tossing the AWD Ferrari mini-wagon around town all day. The 6.2-liter V-12 makes a large 651 horsepower at a screaming 8,000 rpm and 504 pound-feet of torque at 6,000 rpm. Not to be outdone, Ferrari ups the game with two (!) transmissions in the car. A seven-speed dual-clutch unit resides out back for sending 80-100 percent of the power to the rear wheels, while a two-speed unit sits up front to power the AWD system. It’s an unusual set up, but an effective one. Room in the FF’s boot is obviously quite large for a Ferrari and could fit the majority of gifts inside with ease. The CTS-V Wagon is one of our favorites. It’s oozing with big, brawny looks and the power to back it up. 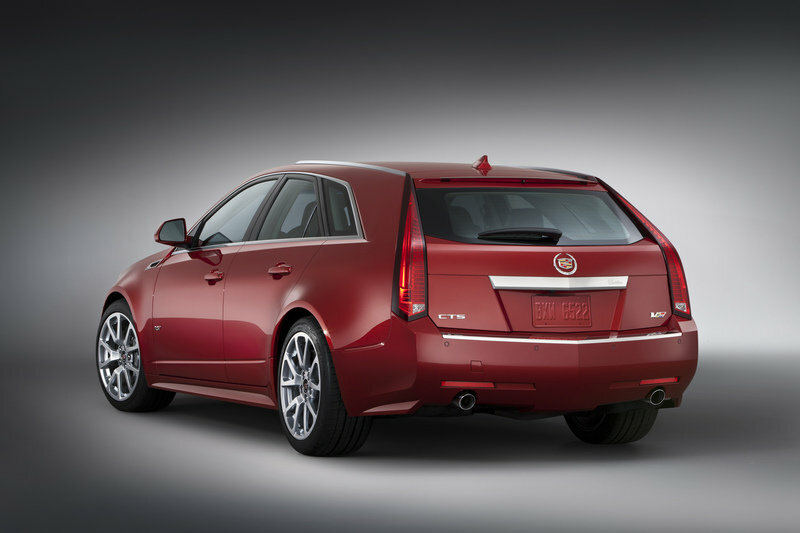 With folding rear seats, the CTS-V Wagon can out-carry many of today’s crossovers and hatchbacks. The supercharged 6.2-liter V-8 is a tire-shredding machine that gives the competition something to envy. With 556 ponies and 551 pound-feet of torque, this wagon hits 60 in just 4 seconds. The CTS-V Wagon isn’t just a straight-line performer either. 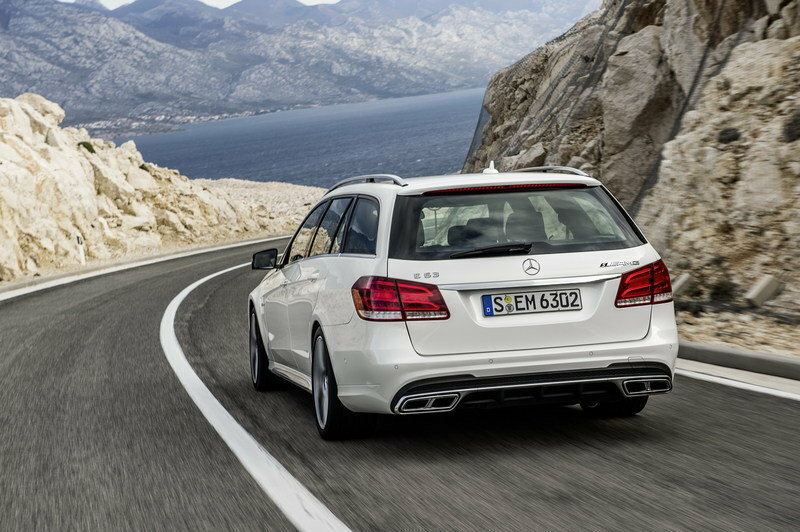 MotorTrend lapped the Nurburgring in 8:12.1, making it the fastest wagon on record in 2012. What’s more, the CTS-V Wagon can be had for a relatively measly $64,900. Meet the most über of über wagons. If you find yourself in need to outrun a Corvette or Viper, yet need to haul the kids around, the E63 AMG S-Model 4MATIC Wagon is the right choice. Zero to 60 mph happens in only 3.4 seconds on its way to an 11.7 second quarter mile at 120.4 mph. The twin-turbocharged 5.5-liter V-8 sends 577 horsepower and 590 pound-feet of torque to all four tires, making all-weather driving an easier experience. Black Friday shopping doesn’t stop for mere snowdrifts or ice-slicked roads, you know. Pricing starts $103,295 and jumps to $110,195 for one with more options. If busting through snowdrifts is a sure occurrence, then a Jeep-branded SUV would suite the circumstances more appropriately. With its extra ground clearance, the Jeep is a capable choice for making your own parking space atop the flowerbed planters at the mall parking lot. All-wheel-drive is standard as are the updated features in the cabin for 2014. Mirroring what Chrysler had done with the standard Grand Cherokee, the SRT model (No ‘8’ in the SRT name for 2014) the interior is a great place to spend time. Of course, the biggest difference the SRT boasts over the standard Grand Cherokee is its 6.4-liter HEMI V-8. Its 470 horsepower and 465 pound-feet of torque are enough to push the 5331-pound SUV to 60 mph in only 4.6 seconds. 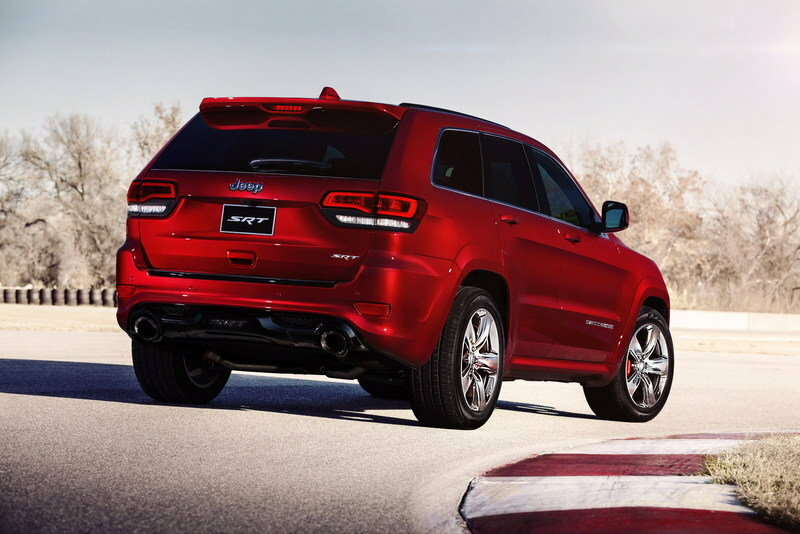 Expect to drop $68,665 for a base SRT-packaged Grand Cherokee. 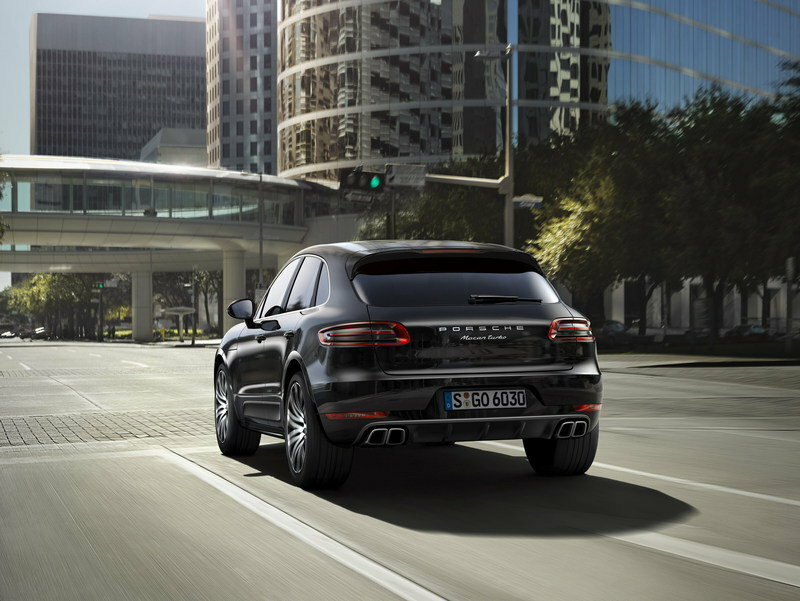 Smaller than it’s big brother the Cayenne, the brand new Macan offers great cargo carrying capacity with compact exterior dimensions – better for squeezing into tight parking spaces. The Turbo model is the one to get and is powered by twin-turbo 3.6-liter V-6 spitting out 400 horsepower through a seven-speed PDK dual-clutch transmission to all four wheels. Zero to 60 comes in 4.6 seconds on its way to a 164 mph top speed. The Macan Turbo starts at $72,300 but can quickly exceed the $100k mark with a few option boxes checked. Volvo has been making a name for itself in the performance arena for a while now, and the V60 Polestar further accelerates that position. Numbers, however, don’t tell the full story with the 3.0-liter turbocharged inline-six. 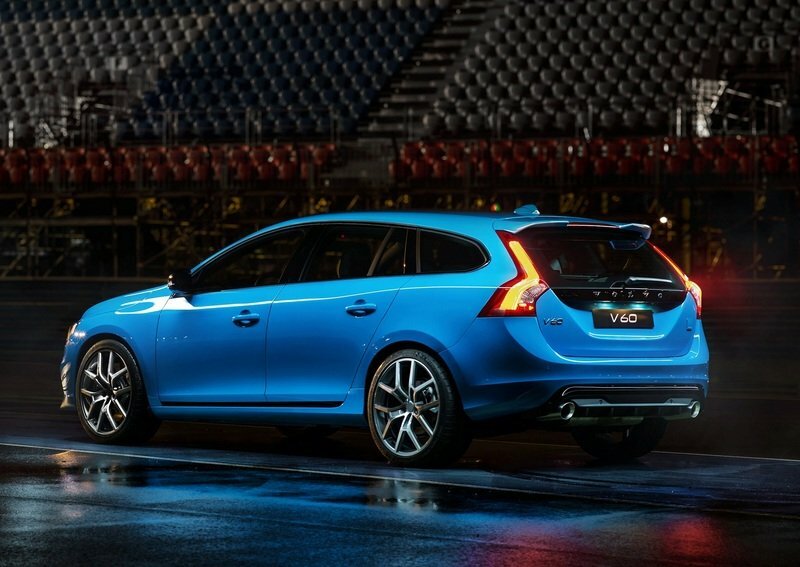 It only produces 350 horsepower and 369 pound-feet of torque, but the V60 Polestar still rockets to 60 mph in 4.9 seconds. A Haldex AWD system keeps the Volvo wagon firmly gripping the road while folding rear seats allow for massive amounts of Christmas presents. Brembo brakes hide behind 20-inch wheels and a full aero kit produces down force. Unfortunately, the V60 Polestar will have to wait till next year for any Black Friday shopping as it doesn’t hit dealer showrooms till June 2014. BMW’s 3.0-liter turbodiesel is often praised for its excellent torque output of 413 pound-feet and high diesel horsepower rating of 255. 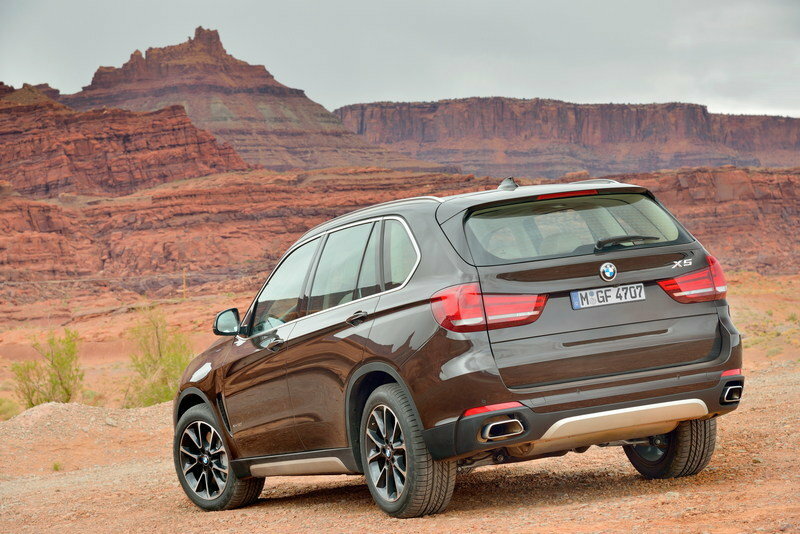 The X5 definitely benefits from the monstrous torque output and would have no issues hauling or towing anything hitched behind it. Although it’s a diesel, the X5 shows little indication of that inside the cabin where NHV levels are quite low. All-wheel-drive helps keep the BMW’s shiny side up while making 0-60 mph runs in 6.9 seconds. The Panamera is an acquired taste for some, but none can disagree the Porsche offers more versatility than anything other than the Cayenne or Macan in its lineup. 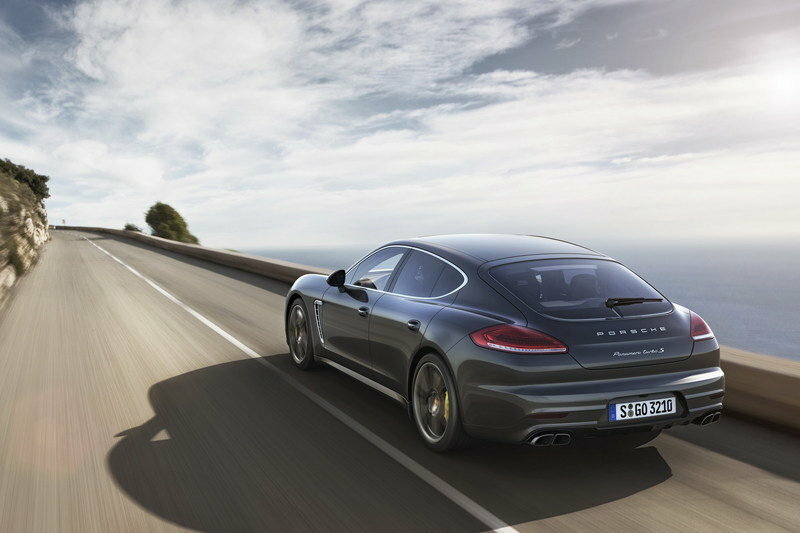 Powered by a 4.8-liter V-8 making 570 horses and 590 pound-feet of torque – 50 more ponies than the regular turbo model – the Panamera can reach speeds of 192 mph and make 0-60 runs in 3.6 seconds. The 60/40 folding rear seats offer plenty of storage space for stuff or excellent seating for passengers. The Panamera isn’t cheap though. Starting price for the Turbo S is $180,300. So far our list has covered wagons and SUVs that would do a great job getting to and from the shopping centers with a hurried quickness on Black Friday, all in hopes of snagging the best deals first. But for some shoppers, something bigger is needed — something gargantuan. Something like the 2014 Mercedes G63 AMG 6X6. 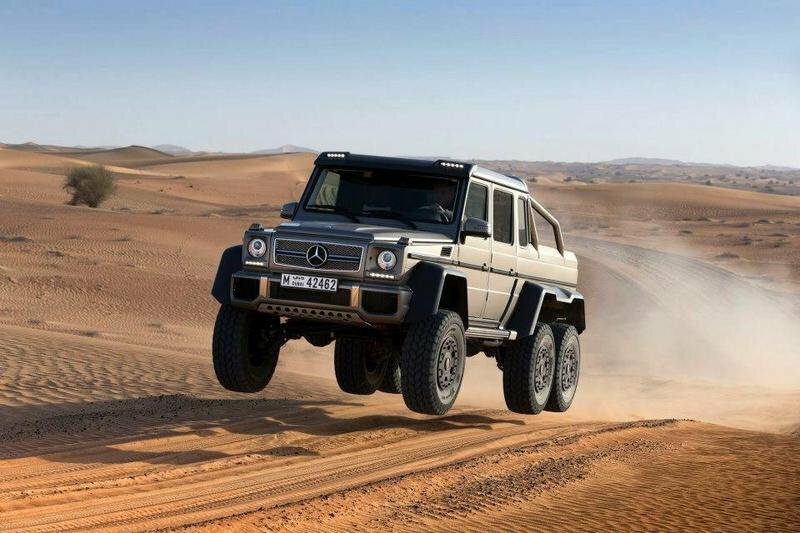 Yes, the 6X6 is a factory-built rig by the eccentric minds of AMG engineers and will do practically anything. Built off a G63 AMG powered by the 5.5-liter twinturbo V-8 making 536 horsepower and 551 pound-feet of torque, the 6X6 still hits 60 mph in 7.8 seconds. Extra length is added with a pickup bed, while the cab is closed off like an American crew cab truck. Three portal axles are bolted on and 37-inch-tall tires provide the traction. Five, yes five differentials distribute power to the six wheels. The tire pressure is centrally controlled from the driver’s seat and on-board compressors can take the tires from totally flat to 2 bar in 20 seconds; great for meeting changing terrain while off road. Our friends at MotorTrend recently tested a 6X6 beside a standard G63 AMG and the resulting video is astounding. Unfortunately the 6X6 is not available in the U.S. and the asking price is over $500,000. Those are hard facts to hear after seeing Jonny Lieberman jump the 9,000-pound monster three feet in the air. Too bad, as the G63 AMG 6X6 would make an excellent Black Friday shopper with the capability to run over anything in its path, park where it wants, get there fast, and do it all while looking completely awesome.